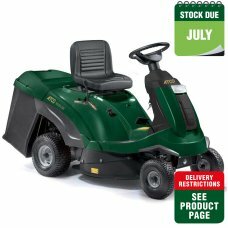 More Than Mowers have a wide selection of ride-on mowers – all makes are available including well known brands such as Atco, Stiga, Snapper, Toro and Al-Ko. We offer Ride-ons with rear collection, side discharge and mulching capabilities. Call us for no obligation advice or visit our showroom in Melksham, Wiltshire. Or if elsewhere in the UK order online. Delivery is free to the UK mainland and all Ride-on mowers undergo a full PDI (Pre-delivery inspection) and are fully assembled and ready to mow when delivered. 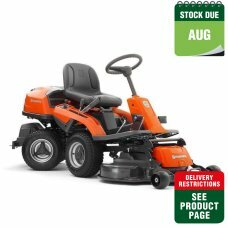 62cm / 24.5in cutting widthCompact design - ideal for moving round obstacles130 litre grass collecto.. The Solo by AL-KO R7-62.5 is a quality rider with a powerful Briggs & Stratton 950E 223cc OHV en.. Cutting width of 62cm/24in Hydrostatic transmission. 93cm turning radius. Compact design - moves ea..
•	Maneuverable ride on mower designed for lawns up to 0.75 acres•	Powerful, Briggs and Stratton engi..
•	Maneuverable ride on mower designed for lawns up to 1 acre•	Powerful, Briggs and Stratton engine f..
93cm / 36in cutting width220L grass collectorHigh level of comfortFor gardens up to 4,000m² / 1 acre.. 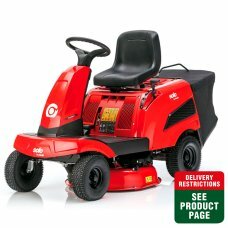 The Snapper REX300 features an 84cm, Hi Vac mowing deck, one of the largest cutting-widths of any do.. The TimeCutter ZS 3200S CE zero-turn riding mower is powered by a premium Toro 452 cc single-cylinde.. The TimeCutter 4200S CE zero-turn riding mower is powered by a premium Toro 452 cc single-cylinder e.. Powerful Rider with twin-cylinder engine and 94 cm Combi cutting deck, offering first-class BioClip®..
Now you can have your tractor and your zero-turn too. Toro’ s innovative TimeCutter SW mowers a.. 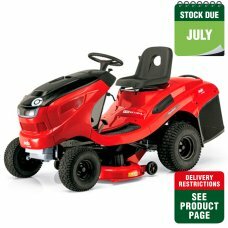 The Toro ZS4200T Timecutter features a twin hydrostatic transmission that allows you to control the .. The Snapper ZTX150 will prove the ideal partner for tackling large overgrown grass areas thanks to i..
Cut your mowing time down by at least 30% with this Swedish designed Zero-turn Mower. The Stiga XT31..
Now you can have your lawn tractor and your zero-turn mower too. Toro's innovative TimeCutter SW law..